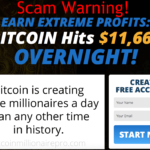 CryptoTrader Software Review – It’s a scam! 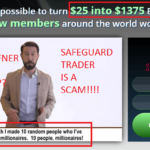 CryptoTrader by David Richmond is a new binary options trading scam that was released a few days ago. In this review, we expose all the lies you have been told so far regarding this terrible software. We have gathered enough evidence to prove that there is no validity in anything you see on the fake cryptotrader.co website. It is important that you do not engage with this app in any way whatsoever. 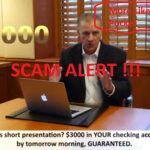 David Richmond claims to be the CEO of Richmond Ventures, a self-made millionaire and of course the creator of CryptoTrader software scam. Mr Richmond starts his presentation in much the same way that many other dismal scams have done before. He also gives a strange account, of going to stay in a cabin in the woods somewhere, with his mentally unstable uncle. He says that while there his uncle gave him two books to read, and that this was how he got into the world of cryptography. Regrettably, David Richmond is nothing but another paid actor. We believe this to be true because for someone to be a self-made millionaire, who is also about to float a company which he claims will be worth around a billion dollars, there should be something about him somewhere online. Unfortunately, after having exhausted all possible avenues, we established that there is nothing. He has no Social Media profiles or even a professional LinkedIn page. This person is untraceable. How does Crypto Trader Work? According to David, CryptoTrader software is & I quote “a completely automated money making machine that scours the worlds markets, analyses millions of data points & uses artificial intelligence and state of the art algorithms to predict sure-fire winning operations. The software then takes care of the grunt work of actually placing the trades at very precise times to ensure maximum profitability. If it’s in any doubt whatsoever, Crypto Trader will not place the trade” Unquote. Now while all that may sound somewhat sophisticated & safe to you, unfortunately we have heard it before. It seems as though the con artists decided to jump on the recent success of an already established and legitimate software known as the TAI Robotic Trend Indicator by stealing their idea of using Artificial Intelligence as the basis of their trading system. For the purpose of this unbiased CryptoTrader review, we will now provide you with some disturbing evidence we discovered while conducting our investigations. 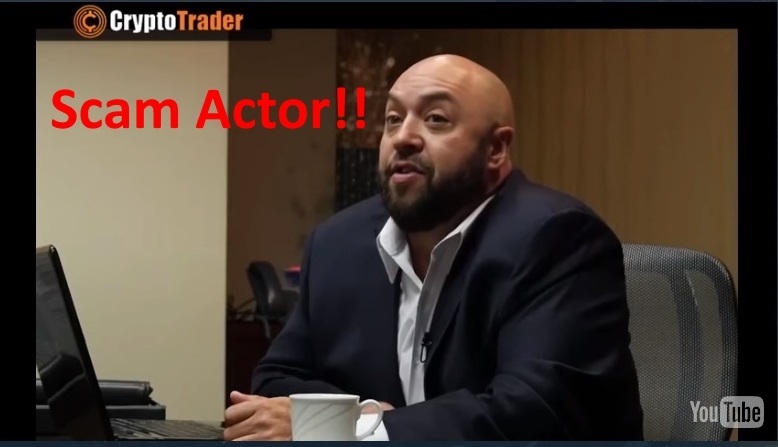 For starters, the presenter of the crypto-trader.co video claims that over the past few months he has already turned 43 people into millionaires by allowing them to use his fraudulent software. This statement could not be further from the truth. After doing some digging, we found that CryptoTrader software scam was in fact only officially registered on the 28th June 2017. Immediately, that should sound off a major warning bell in your head. Such a blatant lie. Furthermore, the testimonials, images and parts of the video are all fake as well as copied. Those people you are seeing have nothing to do with this utterly disgraceful system. In fact, we are without a doubt that some of them were used in a previous scam called the MultiPlexer System which we had the pleasure of exposing in October last year. Simply look at the three images below for undeniable proof of this. 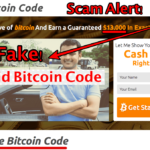 If the above information provided in our CryptoTrader review, is still not enough to stop you from registering with this dangerous scam, then perhaps the following info will be of interest to you. David makes some very bold claims by stating that his trading system is “risk free” and that it is mathematically impossible to lose a trade while using his software. Most online traders will know that is a ridiculous statement. In fact, trading the markets works in much the opposite way. Even the best systems and expert manual traders, will have to endure some losses here and there. It is considered as an occupational hazard. The moment you hear that you can never lose a single trade, you can rest assured it is a scam. 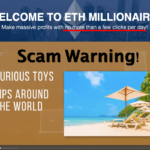 Furthermore, do not be deceived by their continuously repeated proclamation of “5 simple clicks of a mouse equals $5000 daily” into your bank account. This is a deceitful claim aimed purely at newbie traders, looking to make some quick and easy profit. It is extremely difficult for a trader to earn $5000 a day, let alone trying to accomplish that from a meager $250 starting capital, which is generally required by brokers as the minimum investment. Verdict: Crypto Trader is 100% Scam! Are You From US? Then Join BinBot Pro For Trading! Looking back on all the strong evidence provided in our review, it is strikingly clear that there is nothing genuine about this fake auto-trading service. 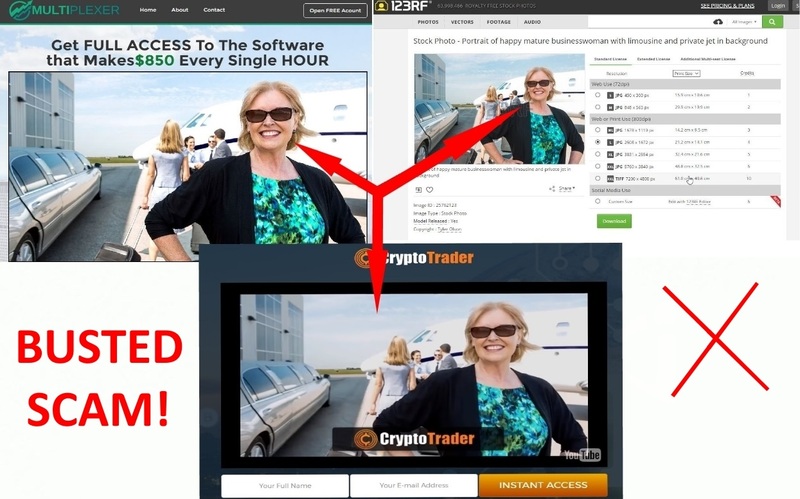 David Richmond and the rest of his scam team leave us no choice but to blacklist their CryptoTrader software due to lack of credibility, false statements and dangerously misleading information. We encourage our readers to help share this warning in any way you can so we can prevent these lying thieves from targeting innocent & unsuspecting day traders in the industry.